It’s pretty amazing how many cool things you can do with driftwood considering that it’s basically old, discarded wood. The idea of using it to create decorations or accessories and even furniture is quite poetic. That being said, we’re ready to show you some of our favorite driftwood decor ideas and to inspire you to consider this unusual but very special and interesting material for your next home improvement project. 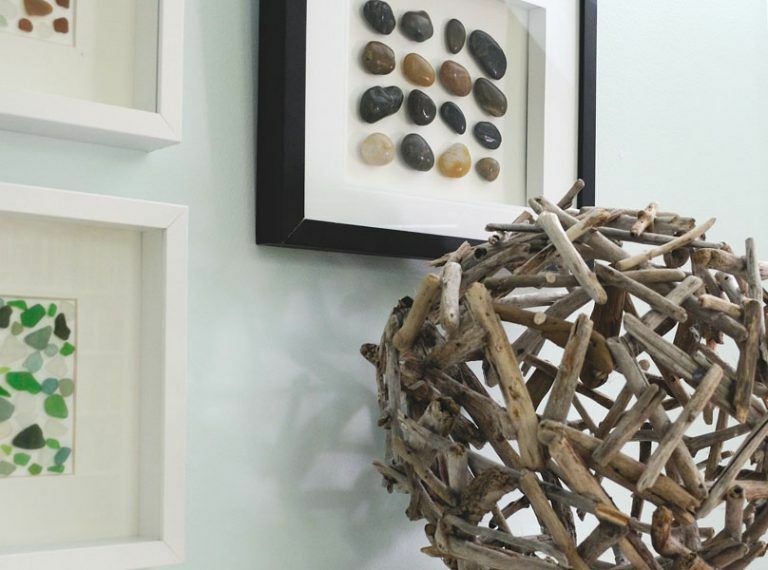 A lot of the things that can be done with driftwood are decorative, like this cool-looking orb featured on creativeinchicago. You can find all the pieces you need for such a project on the beach or even on the shore of a lake. The supplies needed for the project include short lengths of drift wood, a hot glue gun and an inflatable beach ball. The driftwood project featured on greenweddingshoes is super lovely as well. You could use this as a centerpiece for the dining table but you can also hang it above a table, preferably somewhere outdoors, where it can serve as a decorative light fixture/ succulent planter. If you like the project, here’s what you need to make your own driftwood candelabra: a drill, a spade bit, candlesticks, tiny succulents, 2 large eye hooks, rope and obviously driftwood. If you’re like most people, your trips to the beach leave you with a few memorabilia like beautiful shells, stones shaped by the waves, sea glass and perhaps even some driftwood pieces. Wouldn’t it be lovely to use all those things to make a unique piece of wall art? How about this simple mobile that was featured on sustainmycrafthabit. 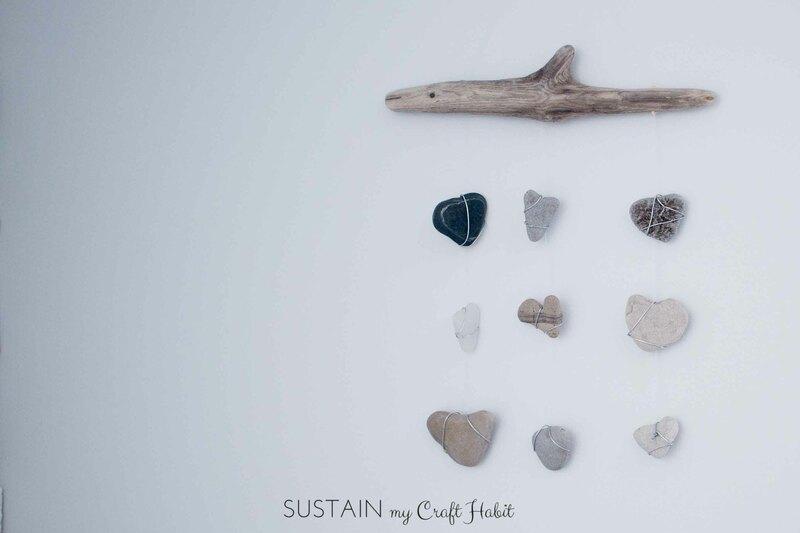 Making driftwood wall art can be as simple as dipping a piece of wood in some paint and then hanging it somewhere. That was actually the strategy that was used to create this gilded driftwood project from domesticbliss2. If you want to make something similar you’ll need a piece of driftwood (or a branch…that could work too), gold spray paint (you can also use other types), painter’s tape and a plastic bag. 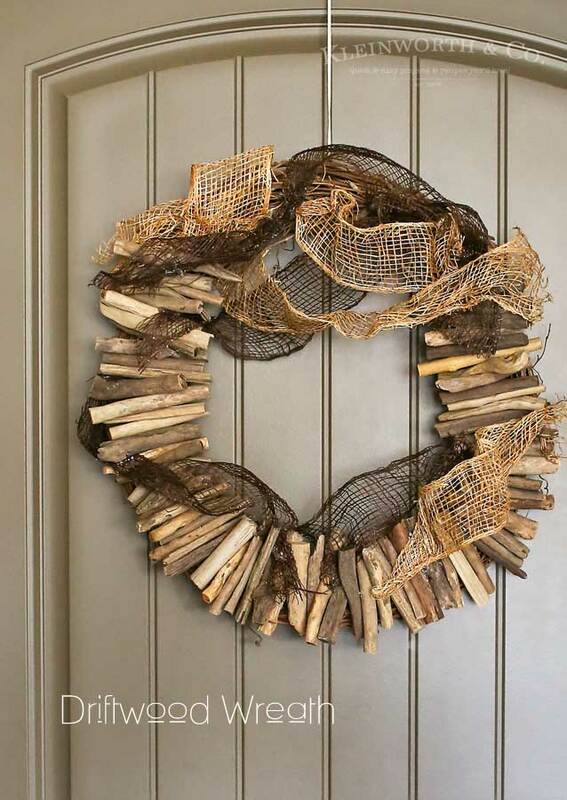 Wreaths can be made out of pretty much anything and everything, including driftwood pieces. You’d need a lot of small pieces for such a project and it would be nice to find some that have irregular ends and edges so your wreath can have more character. You can glue them all onto a basic grapevine wreath form and you can add some pieces of burlap or jute ribbon at the end. You can find additional details on kleinworthco. 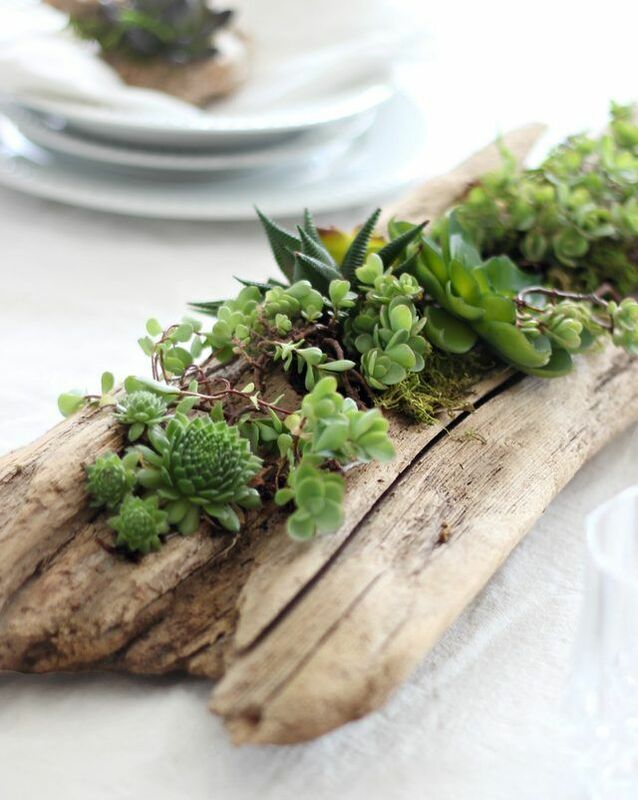 If you have enough driftwood pieces you can use them to decorate things like planters, picture frames and other objects. Let’s start with planters, more specifically with a cool project from creativeinchicago. You can use any kind of pot you want, even an empty yogurt container or a tin can. The whole point is to decorative the exterior with scraps of driftwood. Twigs could work too. 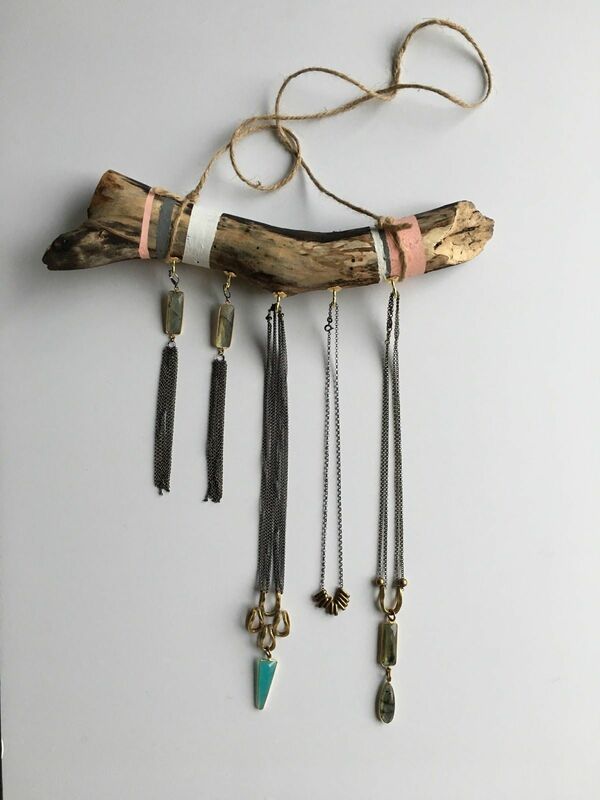 You can also use driftwood pieces to make useful things like this jewelry organizer featured on refabdiaries. Branches and twigs work too but driftwood has more character. In addition to that you can also use rope which combines well with wood of any kind. Other supplies needed for this project include acrylic paint and brushes, painter’s tape, S hooks, twine and sanpaper. 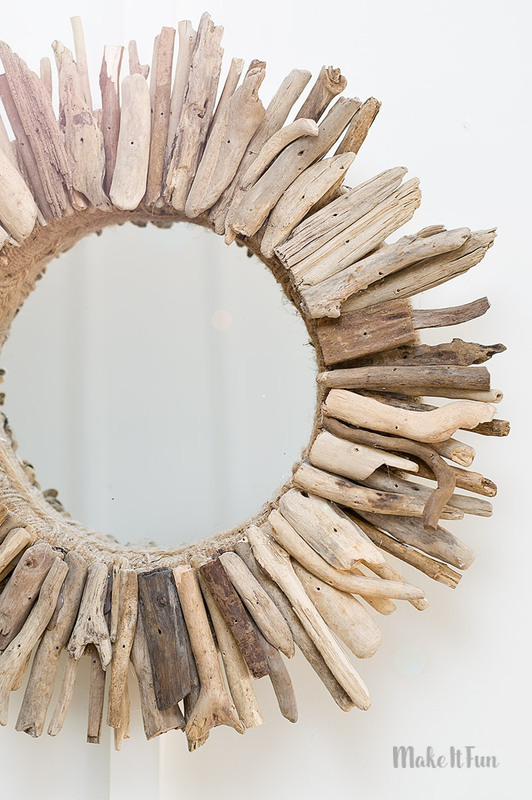 Next up, a fabulous driftwood mirror that comes from craftsbycourtney. To make something just as beautiful you’ll need a foam wreath form about the same size as the mirror, jute twine, lots of small driftwood pieces, a glue gun, a metal picture hanger and, of course, a round mirror. 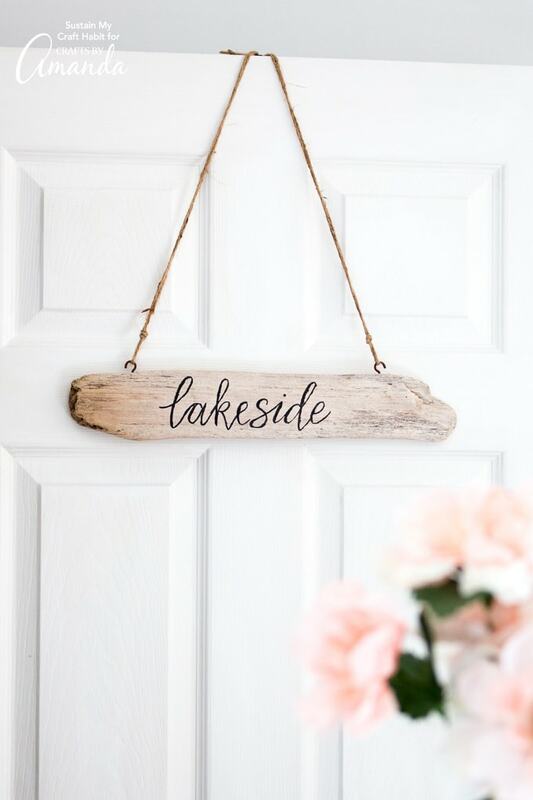 If by any chance you can find a flat piece of driftwood, that could be used to make a charming door sign. Actually, you can hang the sign anywhere you want so be creative. Apart from the driftwood you’l also need some twine, hooks, black craft paint and a small paintbrush. You can find instructions on craftsbyamanda. 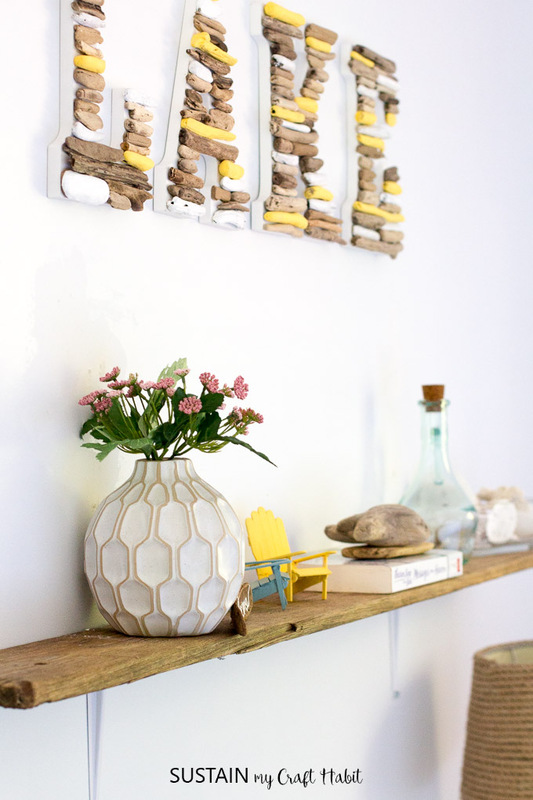 A large enough piece of driftwood can also be turned into a wall-mounted shelf. Driftwood shelves are similar to live-edge wood surfaces but have a character of their own. Here’s how you make one: first you clean the wood and you let it dry completely, then you sand it and then you seal it by applying beeswax with a clean rag. The last step is adding the brackets and securing the shelf to the wall. You can find additional details from the tutorial offered on sustainmycrafthabit. Tiny bits of driftwood can also be incorporated into cute projects like handmade place card holders or favors for parties and even weddings or other special events. 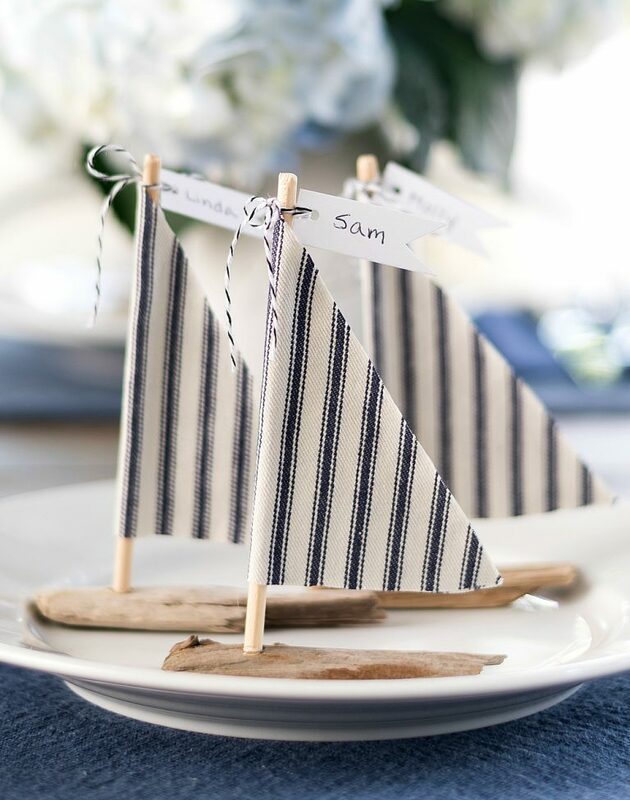 These little driftwood sailboats would be great for nautical-themed events. They’re pretty easy and fun to make too so you might actually enjoy this project. Find out more about it from itallstartedwithpaint. A similar project for which you also need only a little piece of driftwood is this sailboat decoration featured on craftsbyamanda. In this case the driftwood supports the fabric sail and the base of the boat is made of concrete. 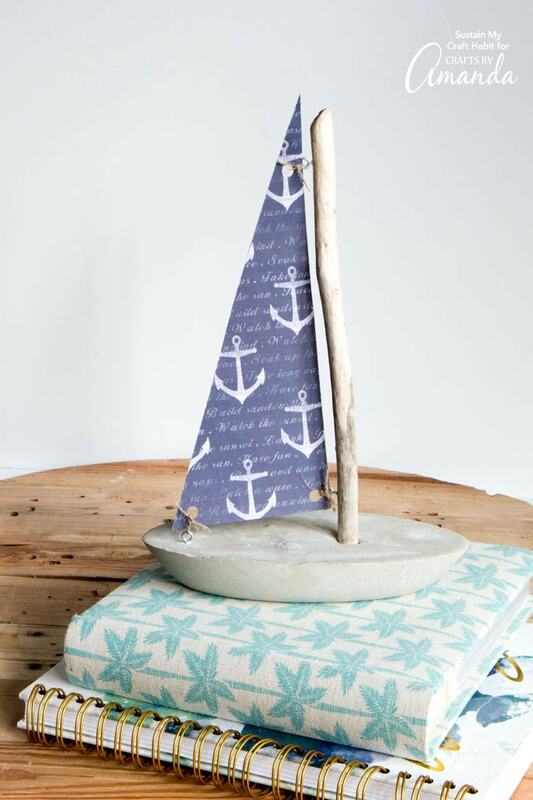 You can make this cute sailboat as big or as small as you want it to be. Driftwood furniture is a particularly interesting possibility. 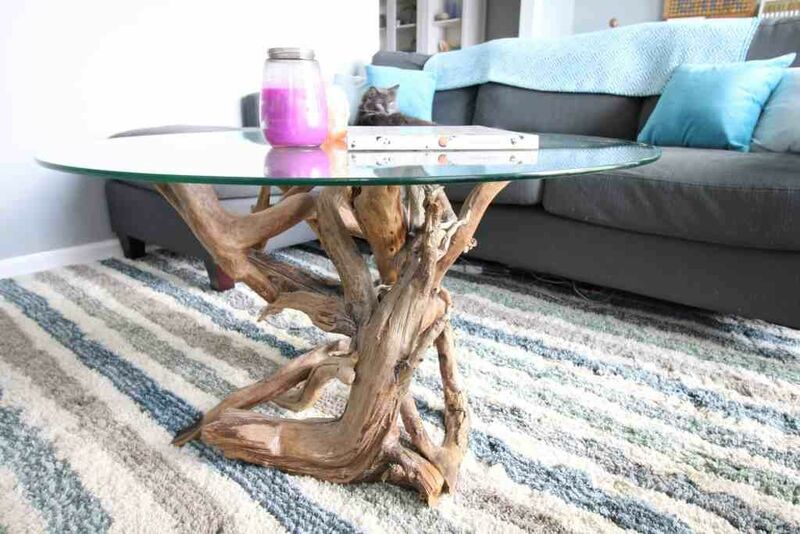 We’re super excited to show you this awesome coffee table project that we found on charlestoncrafted. The sculptural base is obviously the focal point of the entire design and finding the right piece or pieces of driftwood for it could be tricky. 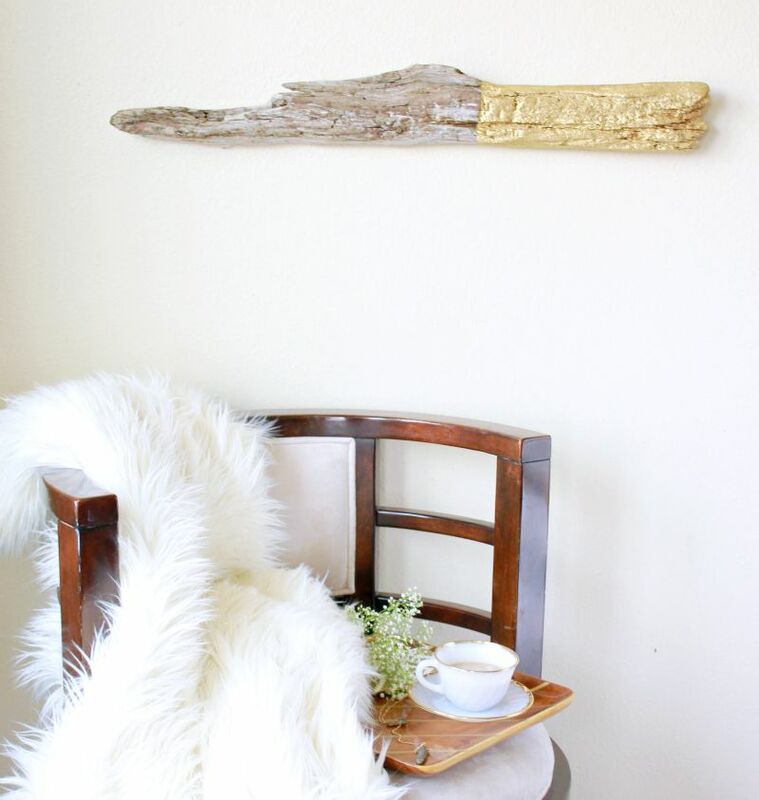 A very versatile idea can be to use pieces of driftwood as hangers for all sorts of different decorations like this wall weaving featured on aprettyfix. 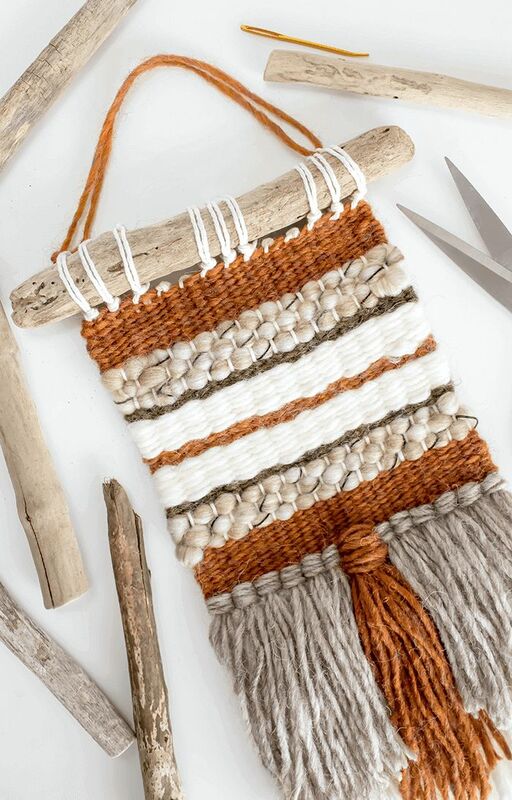 Attaching the driftwood to the weaving can be a bit tricky so be sure to check out the instructions and the tips offered in the tutorial first. 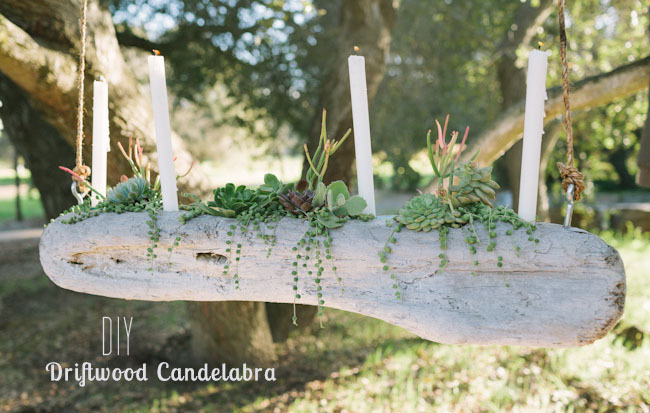 Remember that driftwood candelabra we mentioned in the beginning of the article? It could have made an awesome succulent planter too so if you like that idea here’s a project that shows you specifically how to make such a centerpiece from scratch. The project comes from hunker and includes step-by-step instructions. If you want to display your collection of beautiful driftwood pieces in a way that stands out without being too specific, check out this cool driftwood garland idea from cityfarmhouse. 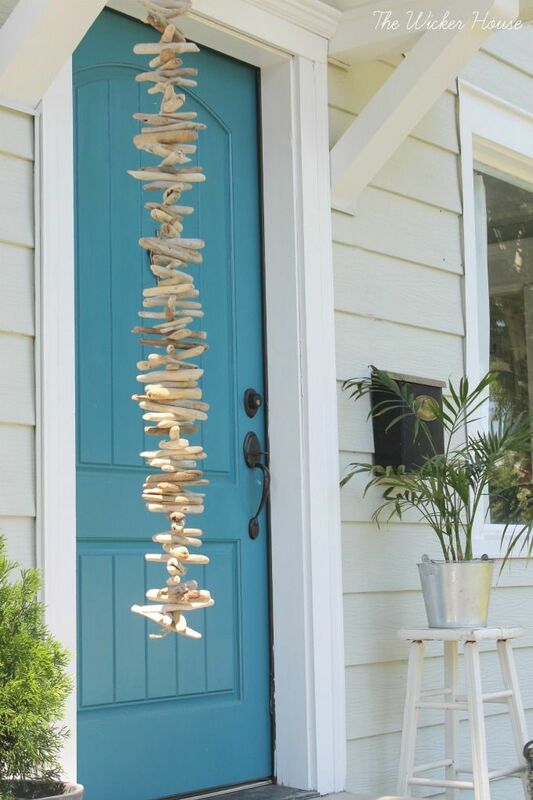 You can hang it outside on the porch, next to your front door or inside the house in a corner or somewhere where you can see it and admire it. Since driftwood usually comes from the beach, anything you make with it will have a beach-inspired vibe. You can emphasize this by also choosing a matching theme for your DIY projects. 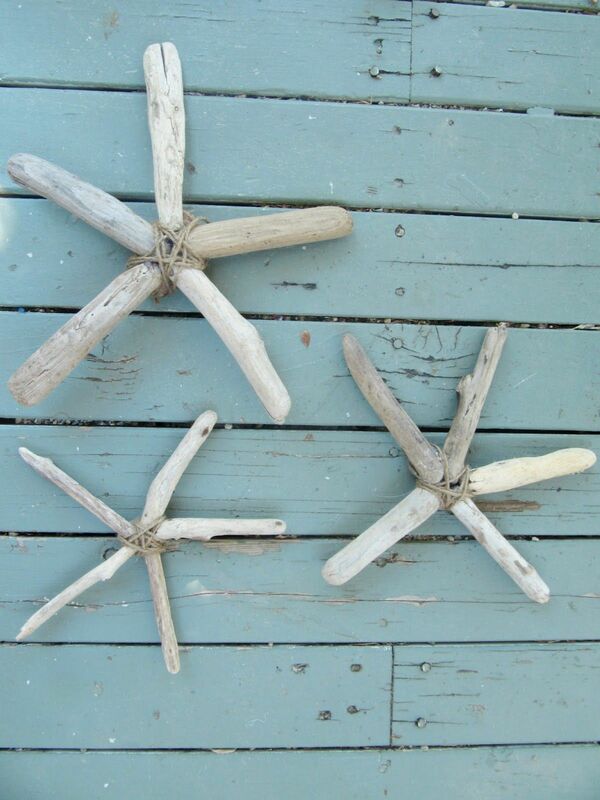 A nice example is this driftwood starfish idea featured on thewickerhouse. 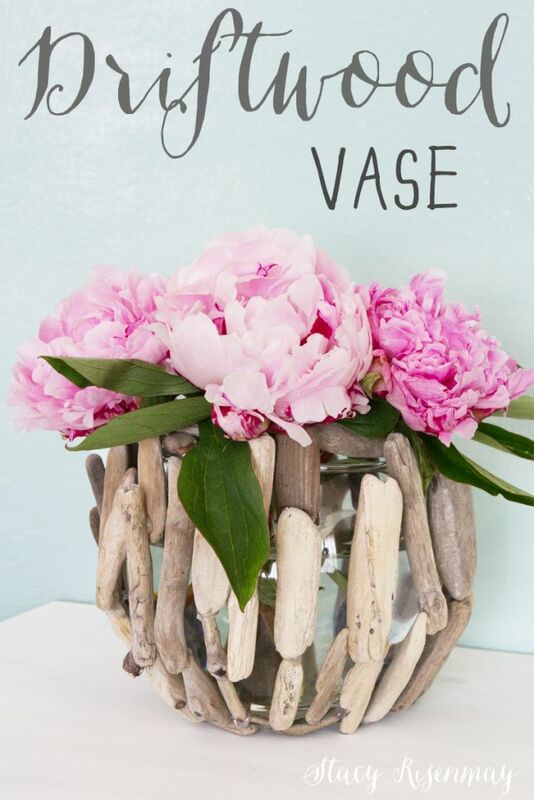 We continue the list with a lovely driftwood vase idea that we found on notjustahousewife. It’s an easy project like most of the other ones we showed you so far and all you really need for it is a transparent glass vase, a bunch of little driftwood pieces and a hot glue gun. 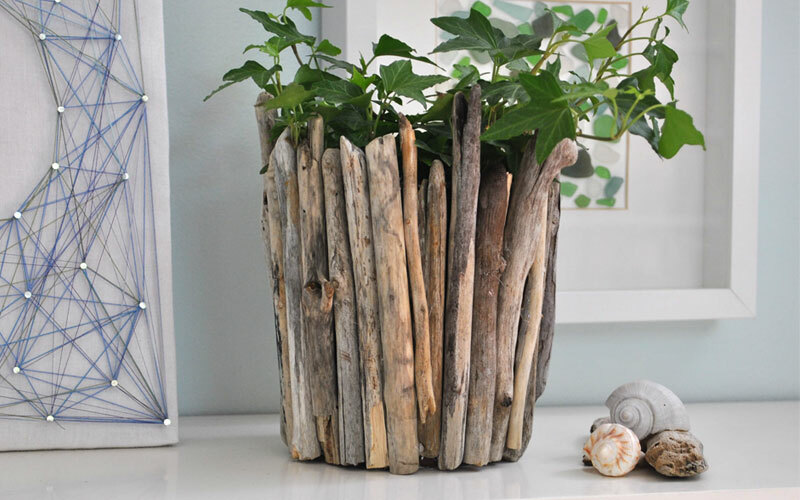 The idea is to glue the driftwood onto the vase in any pattern you want. 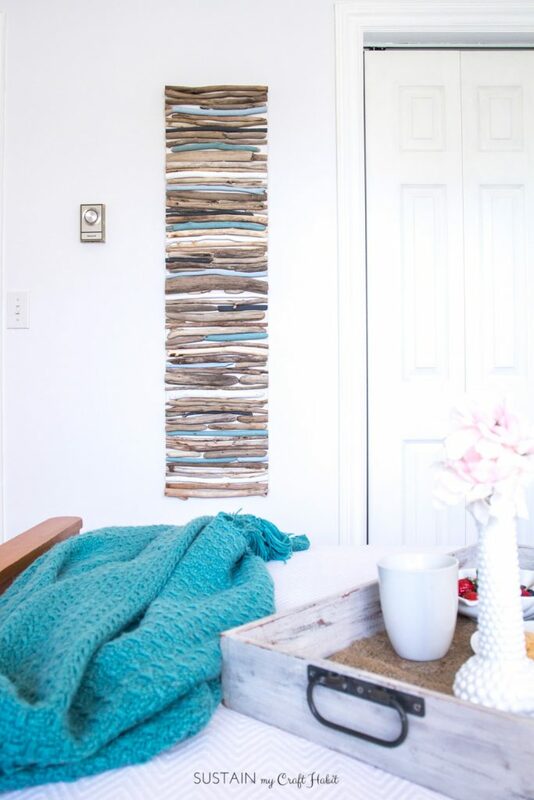 Give your home a coastal vibe by decorating one of the walls with a colorful display of driftwood art. You’ll need lots of driftwood sticks which you’ll have to cut to the same length or to combine to get a neat design. Some of the pieces will need to be painted. Use beach-inspired colors like turquoise, light blue and white. You can find the list of supplies and more details about the project on sustainmycrafthabit. 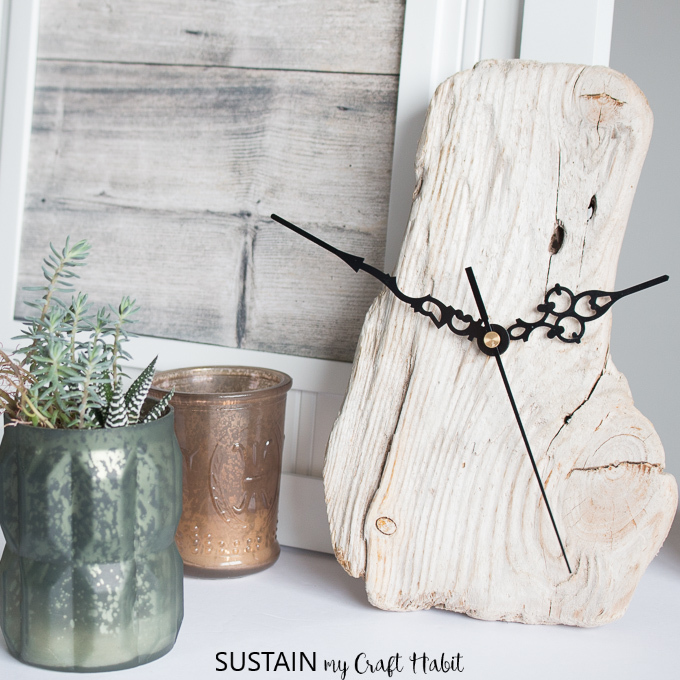 The last project on our list and one of our favorite ones is a driftwood clock featured on sustainmycrafthabit. The most important piece in this case is the clock mechanism. Look for one that looks interesting. You’ll also need the right piece of driftwood. It should have an interesting shape and suitable dimensions. You can keep the clock on a shelf or hang it on a wall. The post 20 Cool Driftwood Decor Ideas With Coastal Influences appeared first on Home Decorating Trends – Homedit.